Minority Businesses are invited to learn about the Minority Business Revolving Loan Fund (MBRLF), a Minority Business Initiative (MBI) Program. Learn how to gain Access to Capital and to help finance small and minority businesses with DECD loans. 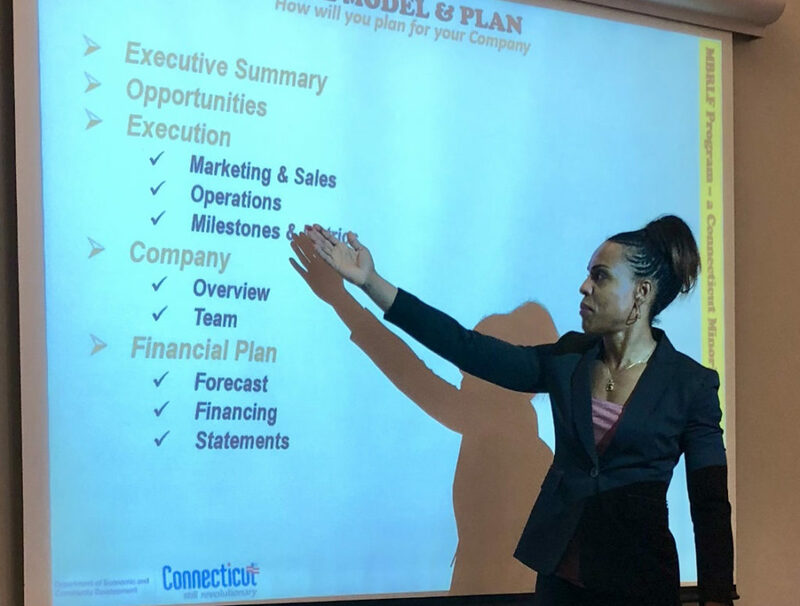 To facilitate the development, sustainability and growth of CT Minority Businesses, DECD and Black Business Alliance (BBA) will host 2 workshops: (1) Access to Capital; and DECD Loans. (2) Elevator Pitch and Value Proposition. Learn how to develop and convey effective value proposition and elevator pitch in your business plan. Monday, November 19, 2018, 5 p.m. at the Danbury Chamber of Commerce, 39 West Street in Danbury. The BBA will demonstrate how minority businesses can prepare to secure financing as well as share information about how to access business funding. DECD will share how to be eligible for their Small Business EXP loan and/or other DECD programs available for financing and growing your business. These interactive workshops will tackle one of the biggest problems to develop small businesses – access to capital.